The Washington Hospitality Association and Seattle Restaurant Alliance’s government affairs team recently participated in the quarterly Seattle & King County Health Department Restaurant Grading Taskforce meeting. Since 2014, stakeholders (including our team and restaurant owners and operators), have engaged in discussions with the health department about what is wanted out of a restaurant grading system. (2) Scale of performance. Customers want to know more than if a restaurant passes or fails. In the past two years, the health department has worked with stakeholders to develop a grading system that meets the above expectations. *Figured out how many inspections and what kind of information is needed to best predict how well a restaurant will perform on food safety on any given day. They concluded that including data from four inspections and only including red critical violations is the best predictor. *Listened to restaurant operators about concerns with inspection consistency. Thus, they led extra training and started doing peer review inspections, where staff do side-by-side inspections to learn from each other. Grades are also likely to be curved by zip code because inspectors are assigned by zip code and this will help counteract any inspector variances. *Worked on six restaurant placard designs to see what people like best. This is yet to be determined! (see below). Starting in and throughout 2017, the new restaurant grading system will roll out to all risk level 3 establishments. After, the roll out will begin for risk level 2 and risk level 1 establishments. Between now and January 2017, the health department will pick approximately 150 risk level 3 restaurants at random throughout King County to participate in a soft pilot. The pilot will test the health department’s preparedness and identify challenges, but it will not include the placement of placards in windows. It’s important to note that the the placard design and threshold to determine each grade (e.g. Excellent; Good; Satisfactory; Needs Improvement) have not yet been determined. The health department wants to hear from King County restaurants on the placard design. An online survey to gather feedback on different placard designs is available and we strongly encourage you to participate. Have questions about the ordinance? 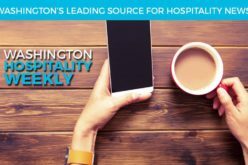 Email jillianh@wahospitality.org.